The red motif on this Fenicio PerlaVita bead is a repeating floral inspired pattern which has been applied by hand using only Murano glass. 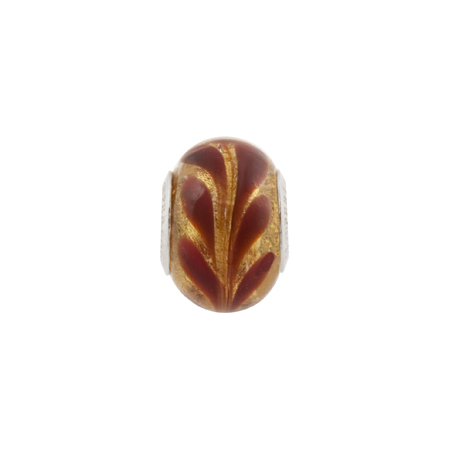 Set on top of a 24kt gold foil base, this is indeed a decadent bead in our most popular shape, a 14mm x 12mm rondel with sterling silver inserts. The hole size is 5mm, which will fit on Pandora Jewelry, Chamilia, Trollbeads, Biagi, LoveLinks. Complete with authenticity card.